So once again, we started off the week snowed in! We are running out of places to put it all, so I’m ready for it to stop any time now. I’m also getting tired of shoveling and my car sliding all over the place. Is it summer yet? 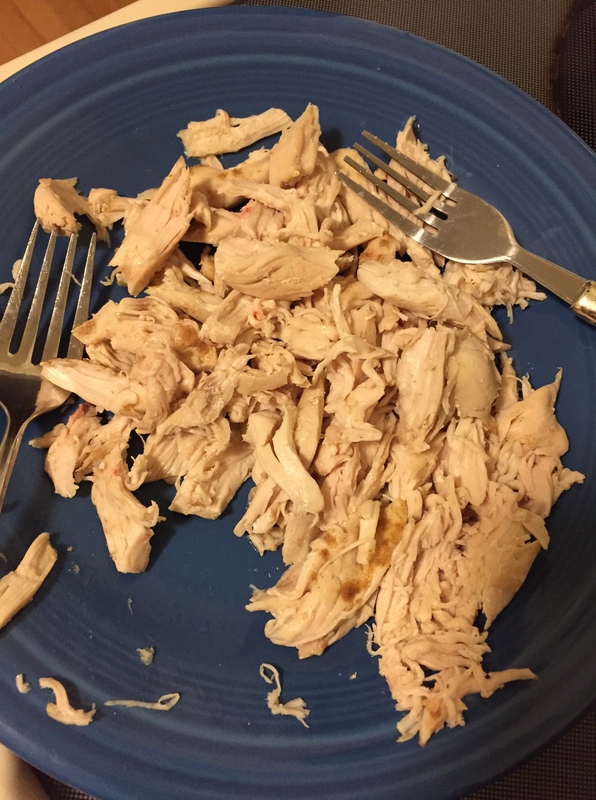 At least it’s given me some time to whip up some new recipes! 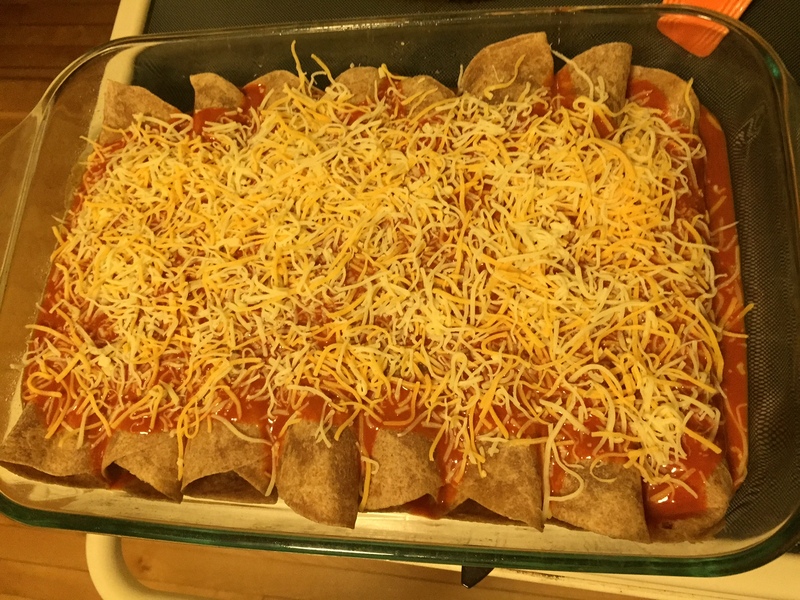 Yet again I looked to The Skinnytaste Cookbook for inspiration, and once I saw these enchiladas I looked no further. 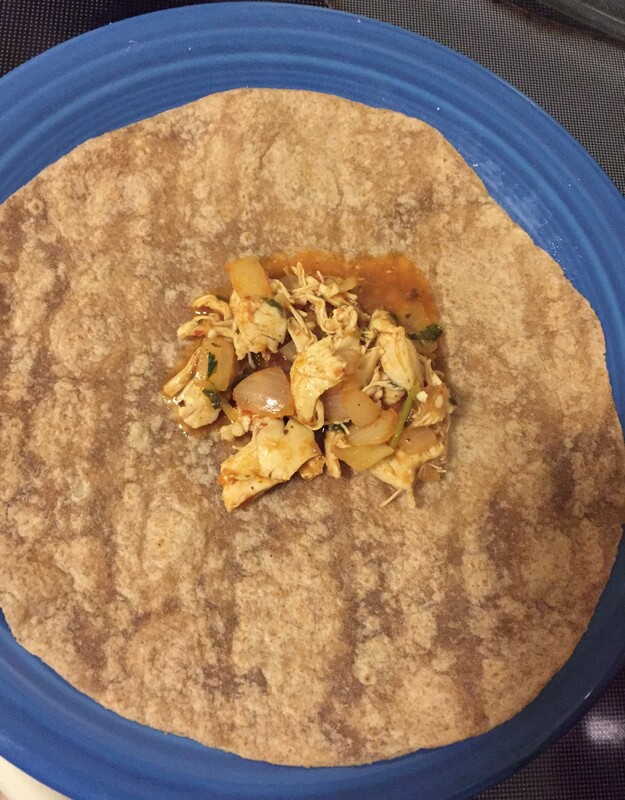 Yummy Mexican food…but better for you…need I say more? 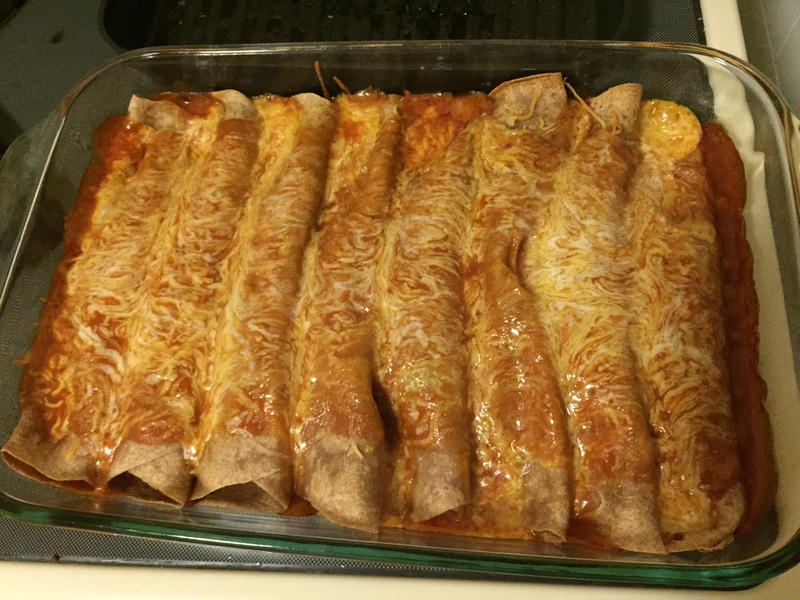 These were delicious and the recipe made 8 enchiladas, so I froze half to enjoy another time – win win! 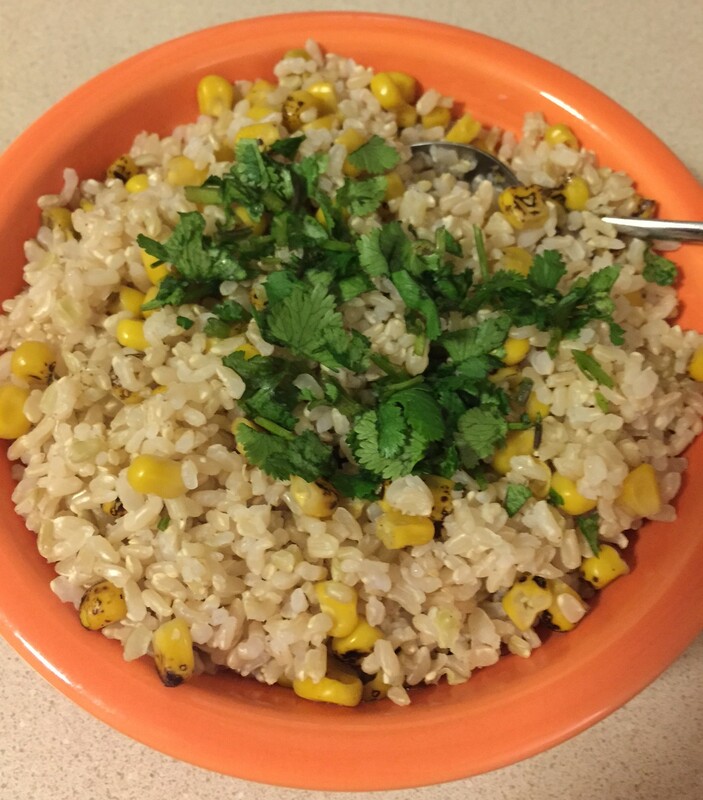 I made a side of Mexican rice to go with them and it was the perfect meal. 1.) Preheat oven to 400 F. Heat olive oil over low heat in a skillet or Dutch oven. 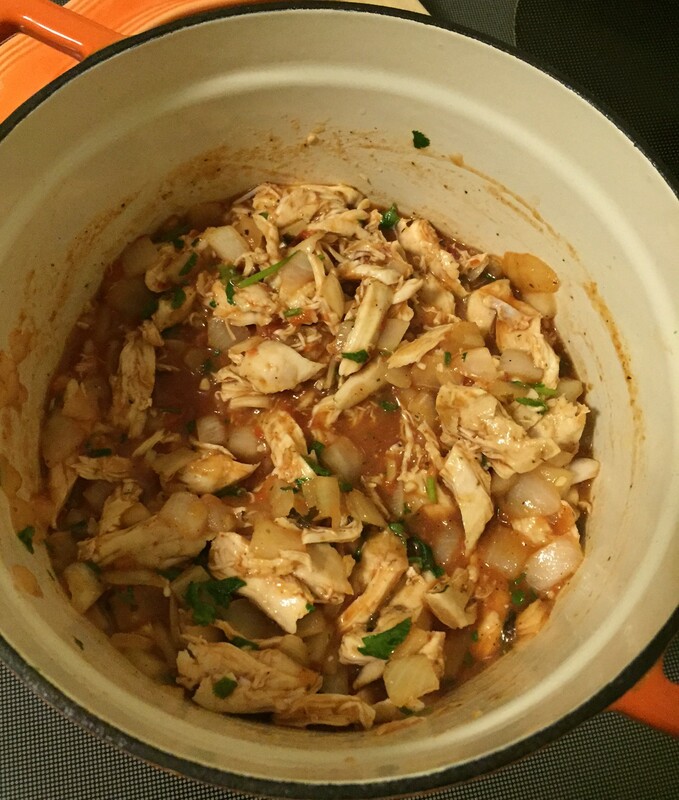 Add the onion and garlic and cook until soft, stirring frequently. 2.) 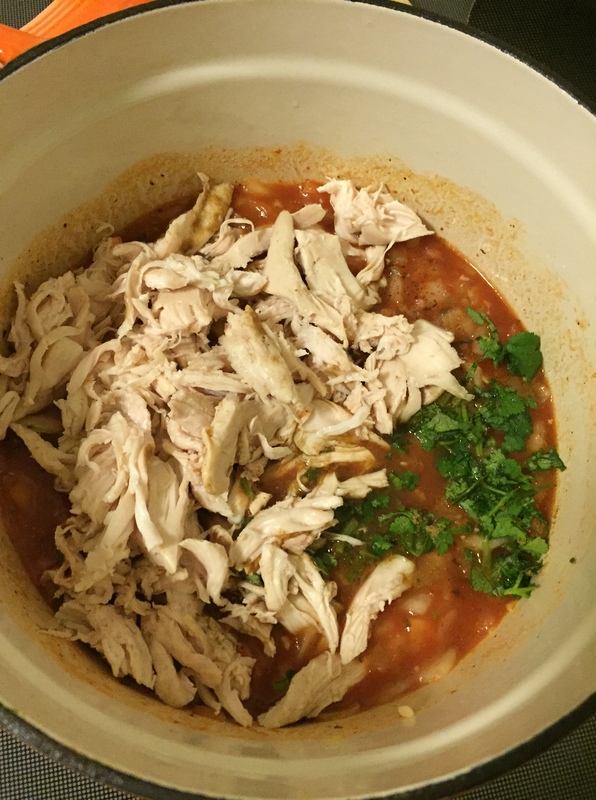 Add the tomato sauce, chicken broth, cooked chicken, 1/4 cup of cilantro, seasonings, and salt. Simmer for about 5 minutes and remove from heat. 3.) Spray a 13×9 glass baking dish with cooking spray. 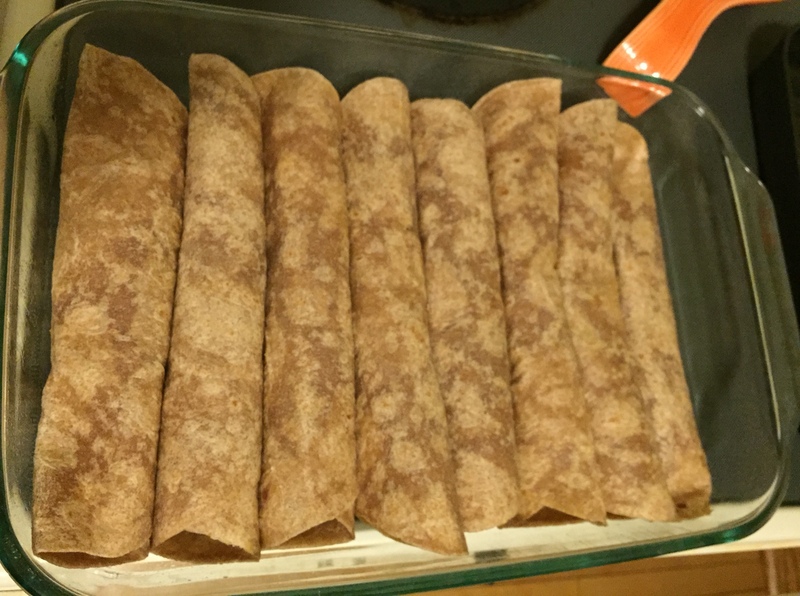 Put about 1/3 cup of chicken mixture into each tortilla, roll them up, and place seam side down in baking dish. 4.) Pour enchilada sauce over the enchiladas and sprinkle with the cheese. Cover the dish with foil and bake for about 25 minutes, or until cheese is melted. 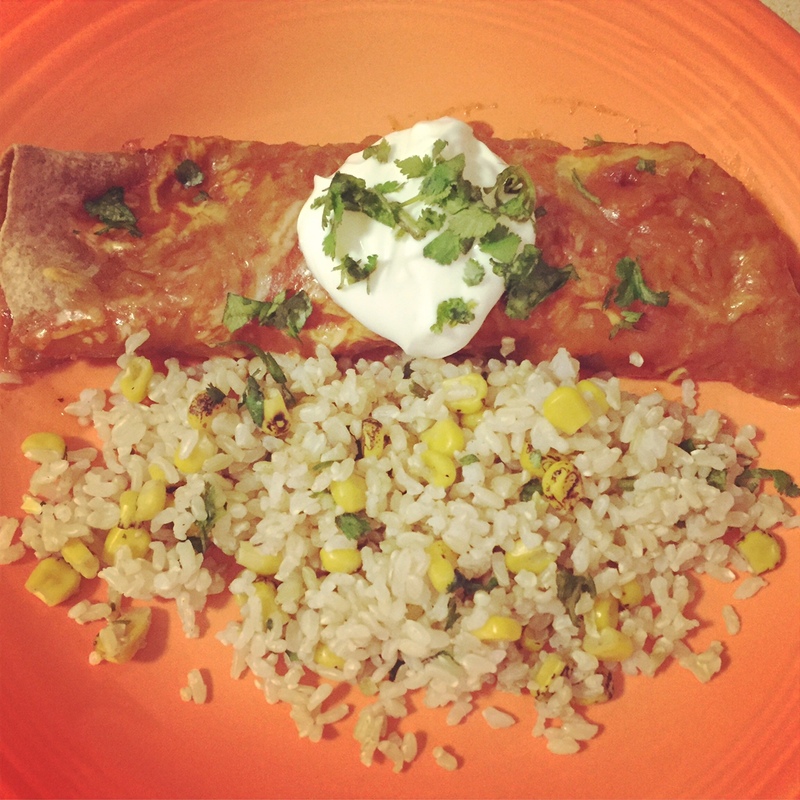 Serve enchiladas with a side of Mexican rice (recipe below) and top with Greek yogurt, guacamole, avocado, etc. and enjoy! 1.) Mix all ingredients together in a bowl. 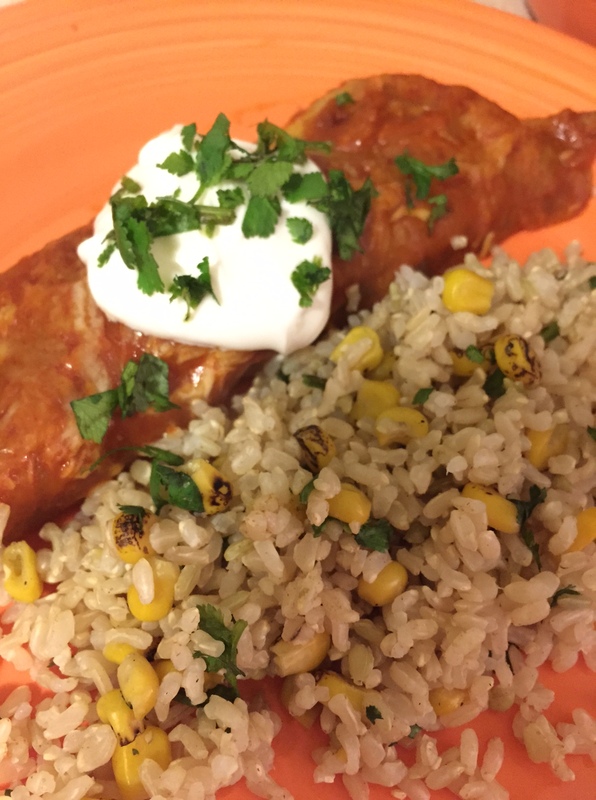 Serve warm as a side for the enchiladas!